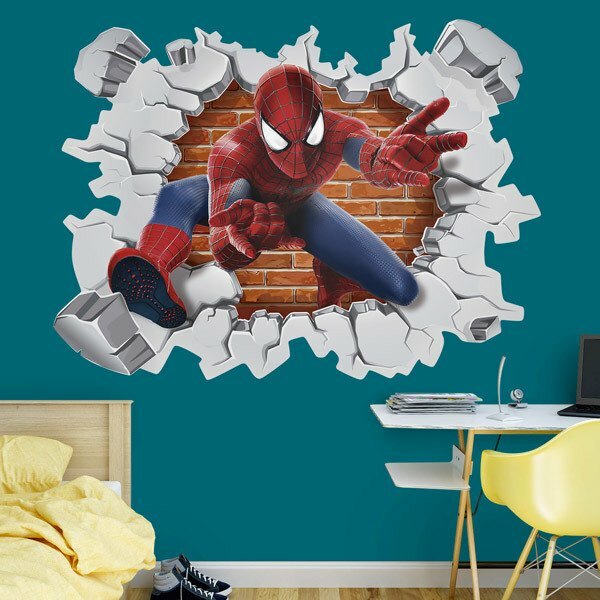 At MuralDecal, you'll find a wide catalogue of top-quality, highly-detailed children's wall stickers designed for your children at the very best price on the market. We have the best brands and we deliver them in 2-7 working days, with an exclusive complementary spatula so you can put them up with ease. Over 285,000 satisfied customers. Buy your children's wall sticker here and if you don't like it we'll give you your money back. There are still lots more to see - take a look at all of our wall stickers for kids. The decoration of children rooms of and not so children with wall stickers for kids stimulates the imagination, creativity and promotes the growth of children. On our website we have a wide catalog of wall stickers for kids, with which you can decorate the rooms of your children according to their tastes . Our wall stickers for kids can be placed on all types of smooth surfaces , whether on walls, mirrors or cabinets. You can complement this decoration with the stickers of our catalog, sure that your children will love decorating the furniture and doors of their rooms with them. In addition, in Muraldecal we have a wide catalog of wall stickers for all the rooms in your home, browse our website and If you can not find the sticker you are looking for, get in touch with us, we will be happy to help you find it. We have decorative stickers designed for all ages, from babies to teenagers and focused on the tastes of boys and girls. 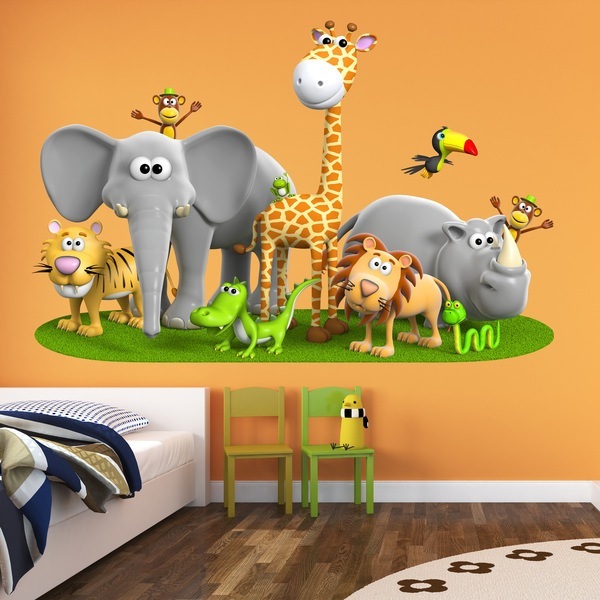 Wall stickers for kids with natural reasons , such as trees, monkeys or dinosaurs. Wall stickers for kids with names and phrases for children . 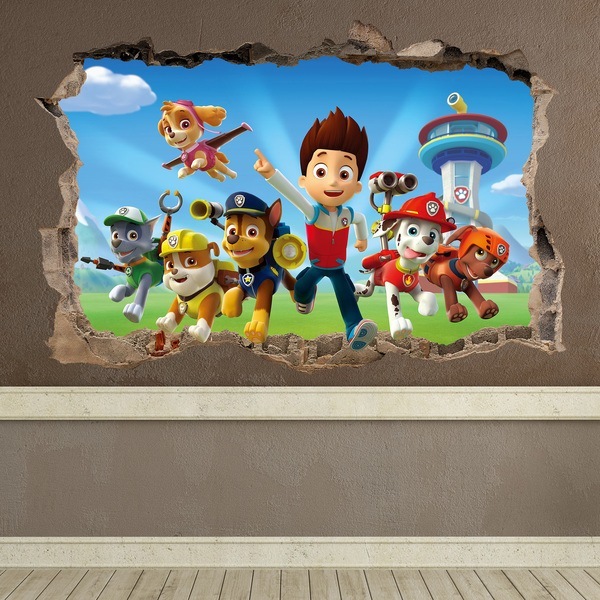 Cartoon wall stickers : Paw Patrol, Disney or Heroes and Villains. Adventure and pirate wall stickers . Sports stickers and soccer teams. Wall stickers for kids parties . Slate stickers , so you can enjoy painting on the walls of your rooms. Our wall stickers for kids are cheap and easy to install and remove, so you can change them for little money as your child grows and their tastes change, so that your children's rooms have a decoration adapted to their pace of personal development . The wall stickers for kids are very easy to install and totally safe for children and babies . In this video of our YouTube channel we explain how to install them, click here and see how easy it is to place a sticker for your children . Give them a surprise by buying one of our wall stickers and install it with them , sure they have a lot of fun doing it and they will be proud to have placed them with you. If you prefer to decorate with pictures of photographs, in Muraldecal we also have a wide catalog of wallpaper pictures. Browse through this section of our website to find the one you like the most, if you prefer a personalized one, send us an image and we will prepare your ideal photo wallpaper, with the measurements and finishes that you love.